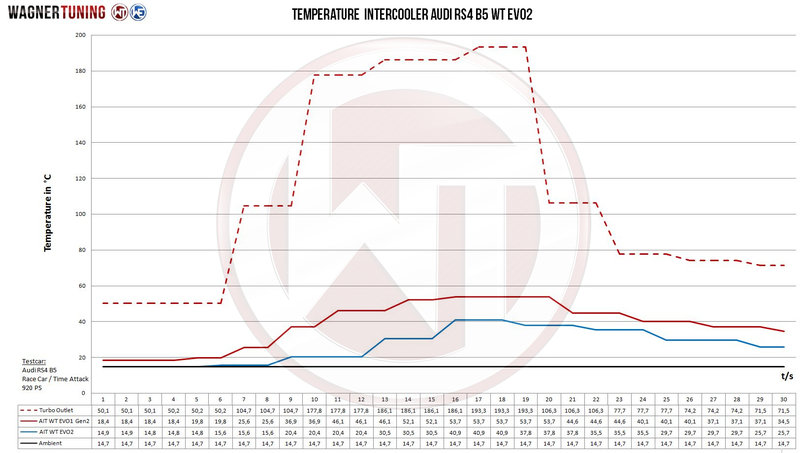 The new designed Competition EVO2 Intercooler Kit for Audi RS4 B5. 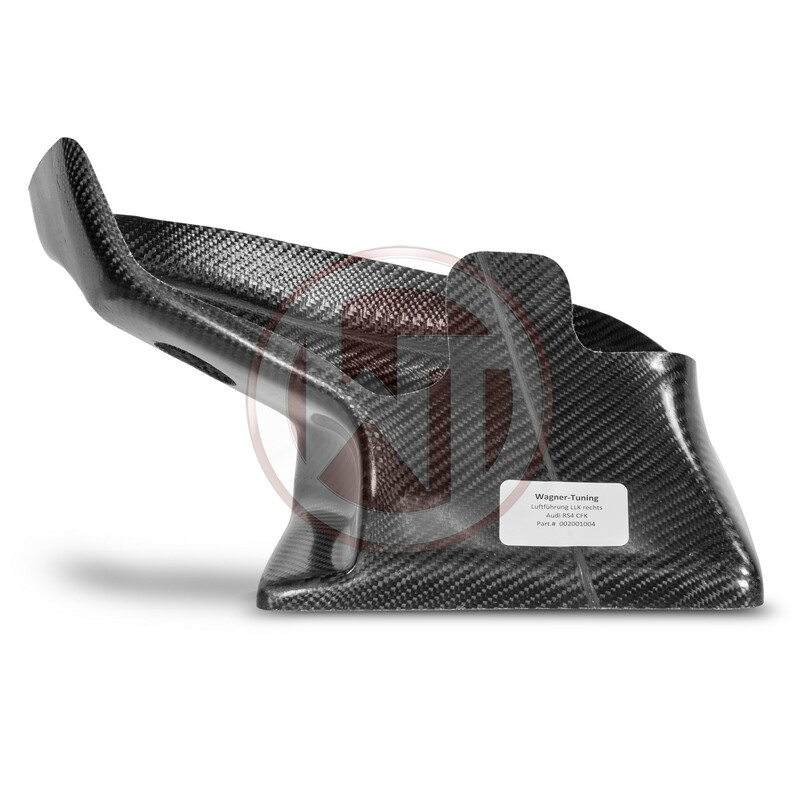 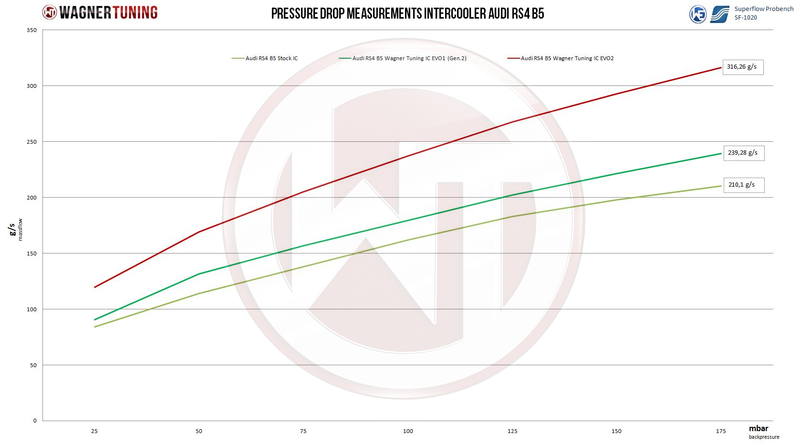 The WAGNERTUNING high-performance intercooler has got a new competition core (latest Tube-Fin-Technology) with the dimensions 255 mm x 260 mm x 120 mm (7.95 liters) / 10,0Inch x 10,2Inch x 4,7Inch (479,4Inch³), which was developed specifically for the RS4 B5 enthusiasts with high tuned cars. 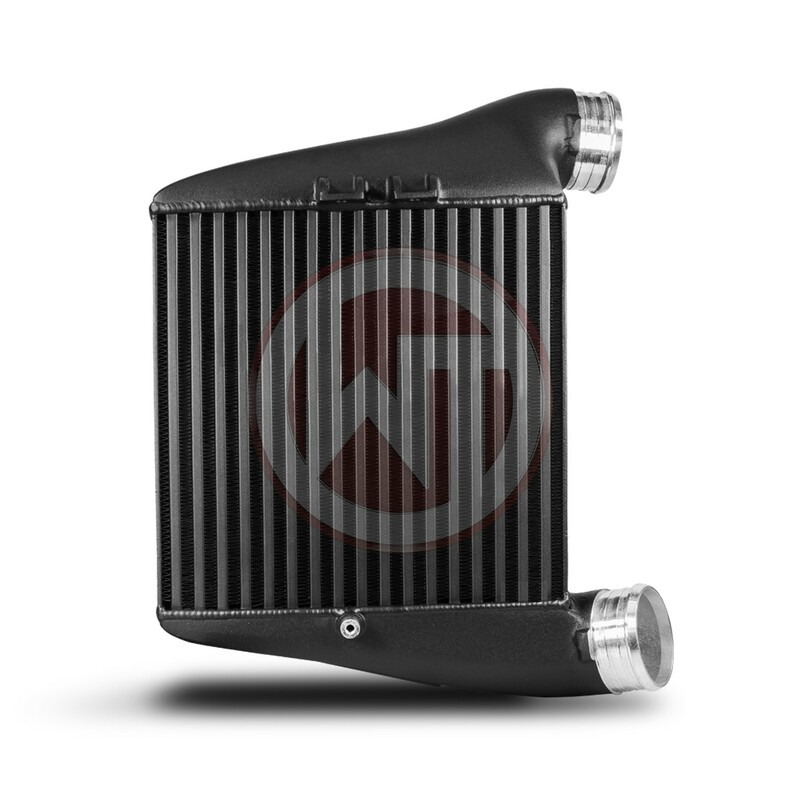 This high-performance core offers an 43 % larger frontal surface and 147 % more core volume compared to the stock intercooler. 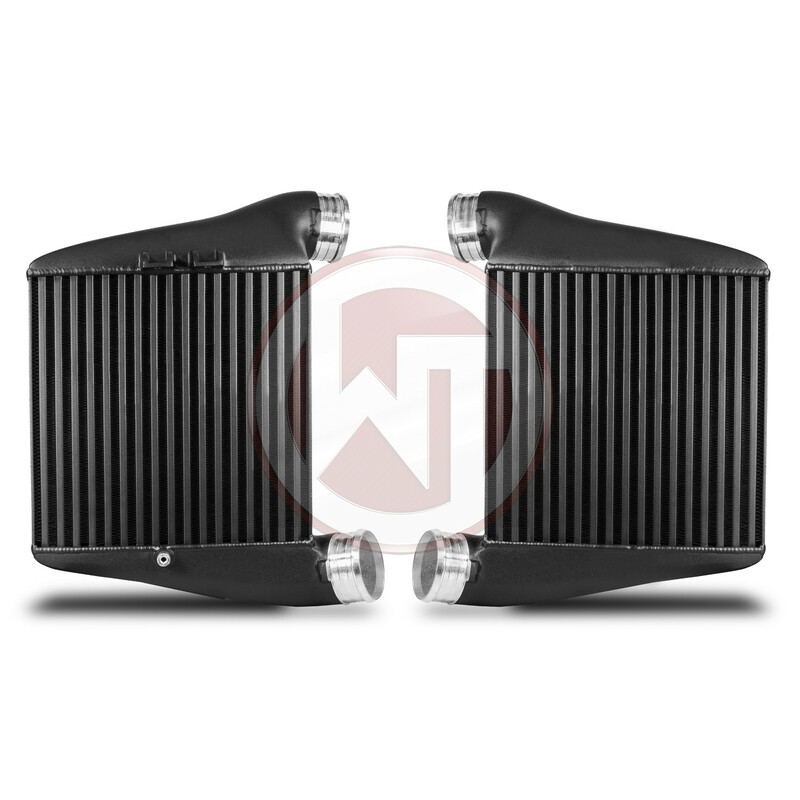 The WAGNERTUNING high-performance intercooler has got a new competition core (latest Tube-Fin-Technology) with the dimensions 255Â mmÂ xÂ 260Â mmÂ xÂ 120Â mmÂ (7.95Â liters) / 10,0Inch x 10,2Inch x 4,7Inch (479,4InchÂ³), which was developed specifically for the RS4 B5 enthusiasts with high tuned cars. 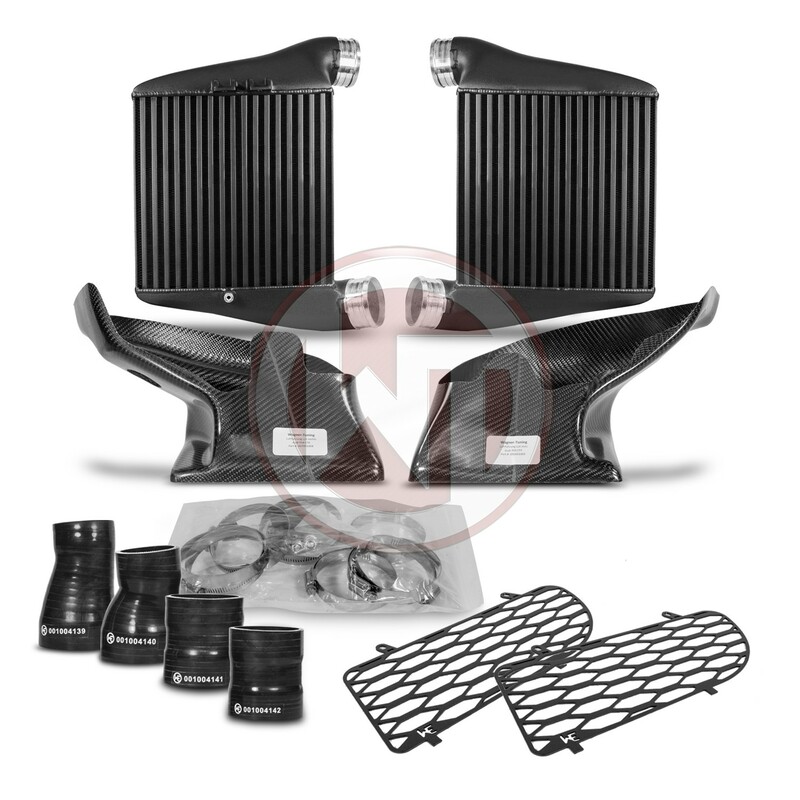 This high-performance core offers an 43Â % larger frontal surface and 147Â % more core volume compared to the stock intercooler.